Mr C and I eat out so many times of the week but for the past few years we’ve never actually eaten at a ‘typical’ Cantonese restaurant simply because we always find somewhere else to eat. We finally got the chance when we were out on a Friday night with no booking (rare) for any restaurant and walked past BBQ King, Mr C reluctantly followed me inside to find a completely empty restaurant which I thought was surprising since I’d heard so many good things about this particular restaurant and BBQ takeaway. 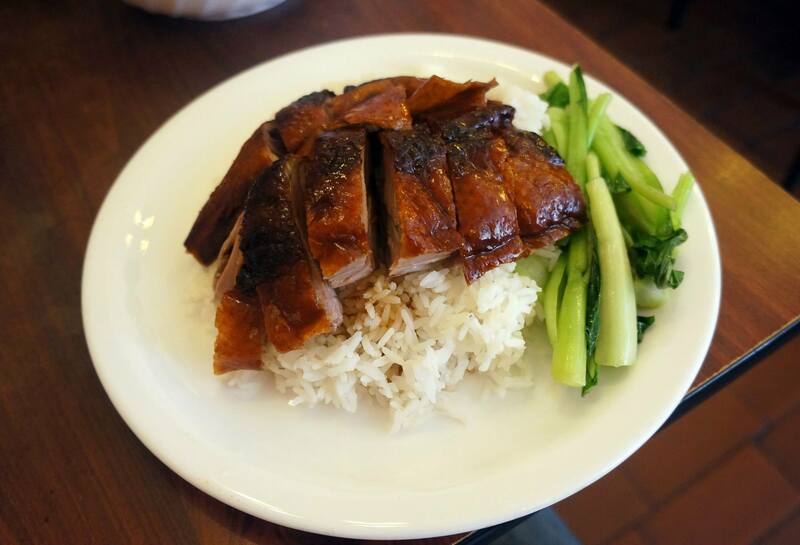 I couldn’t help but order Char Siu here because it’s just plain comfort food for me, the meat for this dish also came from the BBQ window next door and was equally as good as the duck. Packed with flavour and the meat was very tender which is just how I like any of my meats. 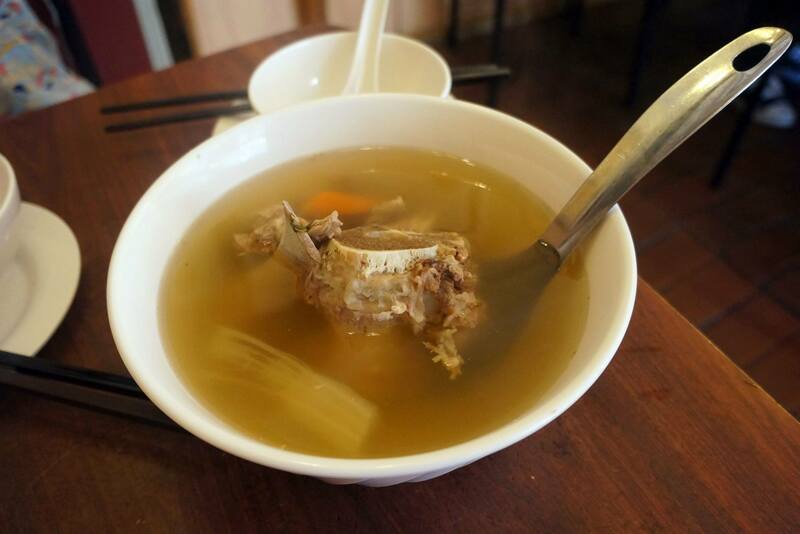 The best part about these kinds of restaurants is probably the complimentary soup, it’s nothing special and actually tastes quite plain but the soup is sort of a ritual for me. If you’ve not tried Cantonese style BBQ meats before, definitely make your way to BBQ King which I think is very good and extremely affordable compared to other restaurants in the area, most dishes are easily under $13. 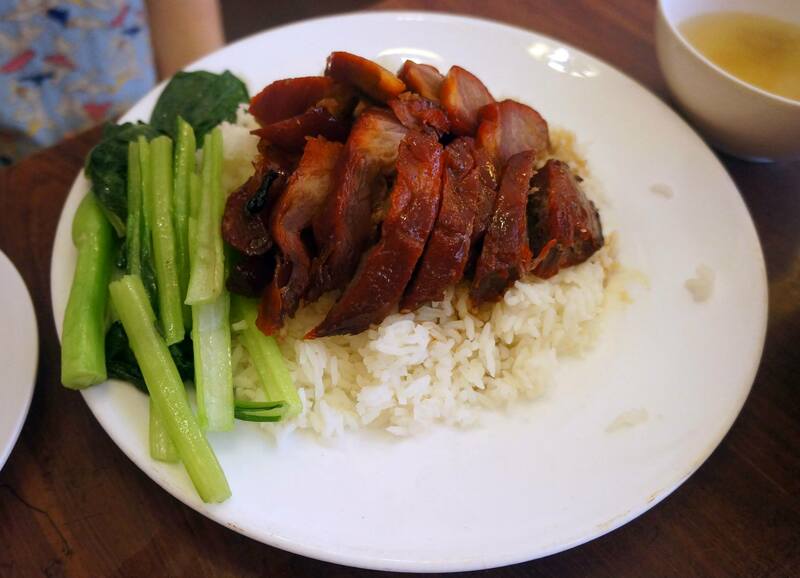 Love Chinese BBQ shops – the roast pork belly is always a fave! Love that too but wanted to try something a bit different since I have that at home so often!